To avoid a dramatic and sometimes lengthy battle in divorce court, San Antonio mediation and collaborative law attorney Clint Lawson recommends alternative dispute resolution whenever appropriate. Two types of resolution that have proved successful in recent years are mediation and collaborative law. Both strategies involve the husband and wife—not a judge—making the decisions that are specific to their situation and needs. The spous es are of course assisted by their respective attorneys. According to The Collaborative Law Institute of Texas, approximately 95% of divorce cases in our state are now settled by agreement. Most courts require mediation prior to trial, unless the case can be settled without mediation. Mediation is usually a half-day or full-day proceeding that takes place on a prearranged day at the office of either the mediator, or the attorney for one of the parties. During mediation, the spouses are in separate rooms, each with their own attorney. A neutral mediator presides, traveling back and forth between them, presenting offers and/or objections for deliberation. 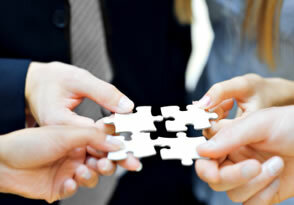 If the parties reach an agreement, a settlement agreement is prepared by the mediator. The mediator cannot decide the case or force a settlement. Clint Lawson is certified as a mediator. San Antonio mediation lawyer Clint Lawson is experienced in representing clients in mediation and is skilled at reaching favorable settlements. Collaborative law is similar to mediation in that it leaves the decision making up to the individual parties, not the court. However, unlike mediation, during the collaborative law process, all parties are together in one room for open and "transparent" discussion. The collaborative team often consists of the spouses, their attorneys, and mutually agreed-upon neutral representatives from the financial and real estate sectors who help the parties with, respectively, an agreeable division of assets/debts and real property. Many times a therapist will also be invited to join the team, to help couples deal with the emotions experienced during most divorces, and also to allow the attorneys more focus on legal issues. Other conditions that reflect the civility of the collaborative law process are 1) the parties must sign an agreement not to take their case to court for a designated period of time; and 2) the collaborative law attorney is not allowed to represent his/her client in divorce court. This safeguard eliminates any self-serving interests, and reaching an agreeable settlement is the primary focus.